Facebook has announced the arrival of the Facebook 2011 Hacker Cup, which calls on those with a hacking brain to come and try and improve the website for cold, hard cash. 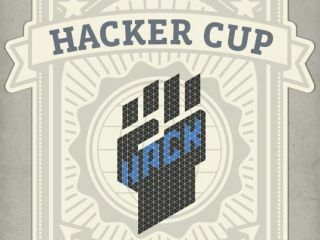 The Hacker Cup is a worldwide contest that begins in January and is focused on bringing the next big product to Facebook. According to the social-networking site, the 2011 Facebook Hacker Cup is "the first annual Facebook programming contest where hackers compete against each other for fame, fortune, glory and a shot at the coveted Hacker Cup." If you look beyond the hyperbole, the reality sounds a little like a school test. But if successfully solving algorithmic-based problem statements sounds like your bag, then there's prize money at stake. Registration opens 20 December, with a qualification round beginning 7 January. If you are successful, then the top 25 hackers will get flown to Facebook headquarters in Palo Alto, California, with a chance of winning $5,000. Facebook isn't the only one trying to enlist legit hackers. This week Reevoo takes part in a hack week. This involves dozen or more devs locked in a room for a week, in a bid to create something that is world changing. They're calling it a 'band camp for geeks'. We've all seen American Pie, so we know what that entails, then. If they can put the flutes down for a minute, then there may well be a website created - www.justbuythisone.com and http://spacelog.org/ both came from these type of meetups. For more information on the Facebook Hacker Cup, go to Facebook.com/hackercup. For information on hacking shenanigans, head to devfort.com.